For those of you who don’t know Paula, my mother-in-law, you are missing out! She is a hoot! Not only is she extremely outgoing like Matt (her son and my husband), she is also a great cook – that is, if you like down-home southern cooking! Some of the most popular recipes on my blog come from Paula, and do you know why? Her recipes are simple to make. Her recipes are “comfort” food. 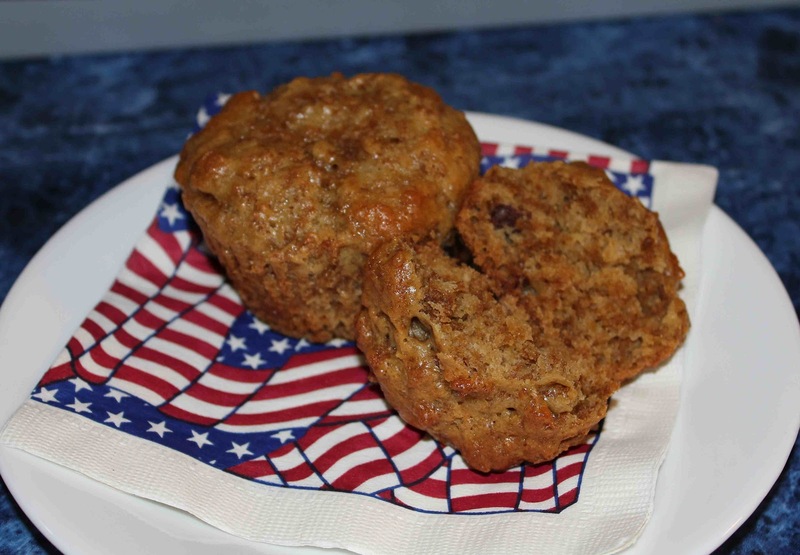 When Paula first made these muffins for us at the lake this summer, she advertised them as “healthy” bran muffins. I was pretty excited that she made something “good-for-us”, that is, until I saw the recipe. Don’t let the word “bran” trick you into thinking you can eat five of these muffins and not gain weight. That’s what I thought (except I didn’t eat five). With 3 cups of sugar, and one cup of canola oil, these aren’t exactly Cooking Light material. With that said, I am a firm believer in moderation. I weigh less than 100 pounds and still indulge in sweets and carbs. However, what I do that most people don’t do is exercise regularly (run, do yoga, cross train and lift weights), eat 5-6 small meals a day, and count my calories. Paula on the other hand, has amazing metabolism, considering how much she eats!! I think she has been blessed genetically. Paula was invited to run the 200m in the 1972 Summer Olympic trials. Pretty cool, right? Let me know what you think, I’m sure you will love them! 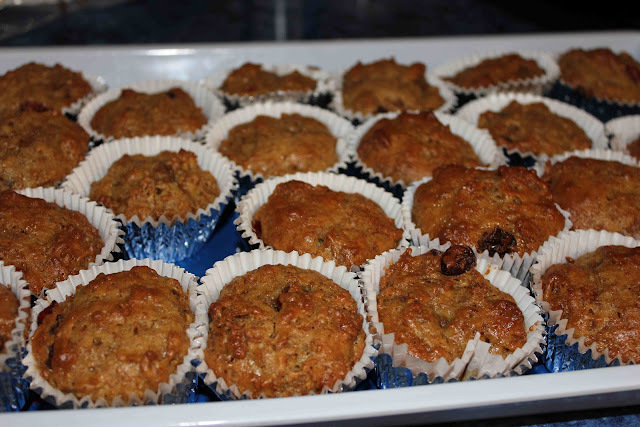 *Baked muffins will keep in the refrigerator for 2-4 weeks. You can also refrigerate the dough and bake at your convenience. Preheat oven to 400 degrees F. Line a 12-cup muffin pan with individual baking cup liners. Combine the first 5 ingredients. Add in the soda, salt, buttermilk and cereal, in the order listed. Add almond and vanilla extracts. Stir in dried fruit. 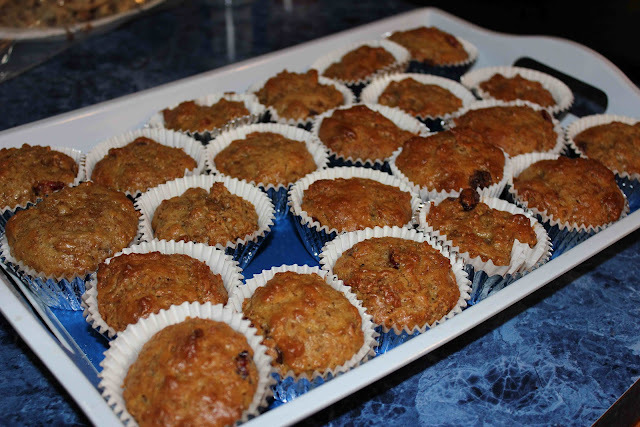 Spoon batter into prepared muffin cups and bake for 15 minutes or until toothpick inserted in center of muffin comes out clean or with a few crumbs. 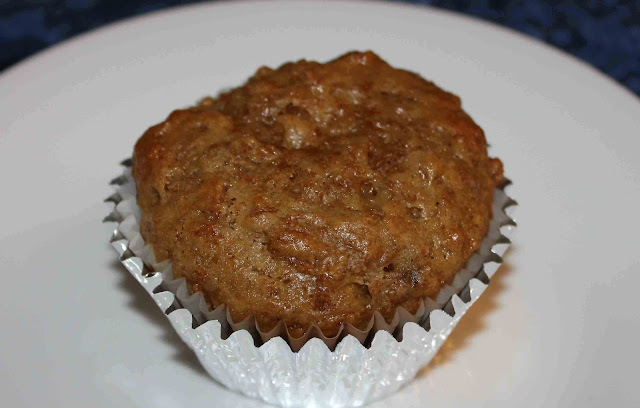 2 Responses to "Paula’s Bran Muffins"
When in doubt, add butter!!! You should post the paleo muffins I made a few weeks ago. Yes, I need to make them! Maybe mom and I will make them today!